Ultimately we found a piece of ground and jumped whole hog into farming. Yes in addition to cows and chickens we did have hogs. And I had a whole lot to learn. 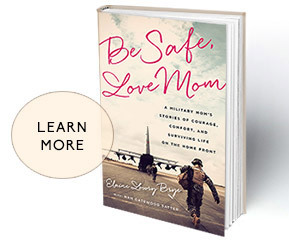 Much like when our kids joined this new world of the military there were a lot of things no one told me. Like there is a lot of stuff to deal with – I mean stinky smelly stuff that seems to be everywhere. There is a lot of shoveling of stuff. And I learned that stuff avoidance was a huge priority if I did not want to end up smelling like it or having it make me sick. 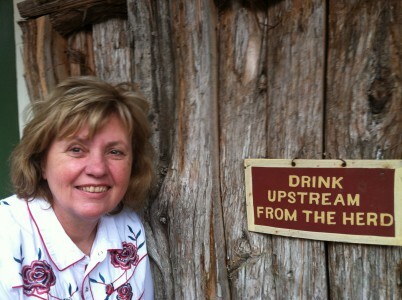 The lesson “drink upstream from the herd” was a practical admonition to avoid “stuff.” But it is a great lesson for all of us in so many ways. We are surrounded by “stuff” on the internet, on “news” that is supposed to inform us. Stay above it. Don’t let it make you sick. If you have to turn it off-do it. Get the facts and move on. Focus on the clean water-what is good for you. Don’t get buried in stuff. 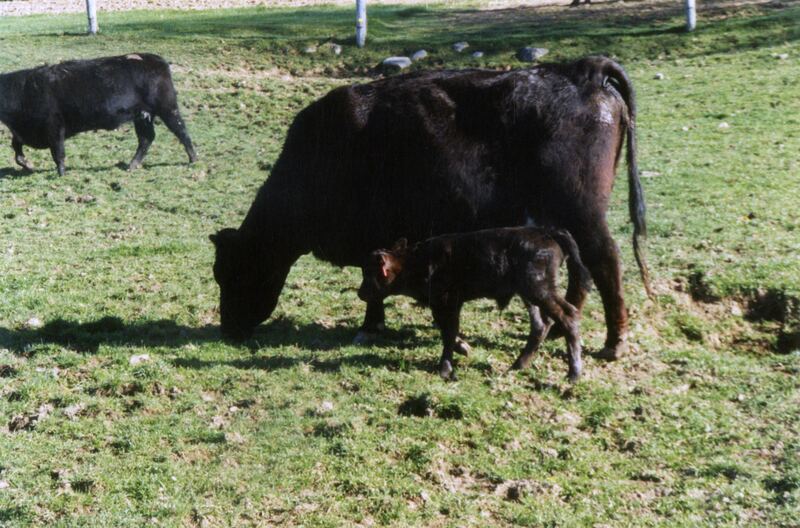 A momma Angus cow and her brand new baby-isn’t it sweet? Another lesson learned-no matter how adorable they look, do not ever get between a momma cow and her baby. I learned that early on, when my husband had to give some shots to a brand new calf. He pulled the calf into the bed of our pickup truck and instructed me to keep the momma away. ARE YOU KIDDING ME? She was furious and almost climbed into the truck with me. It was a miracle I survived that day. The same lesson is also true for us. Never get between us and our children. We moms can lift cars if it means saving our children. We will do whatever it takes. Remember that mother power within you. We can make an angry cow look like a pussycat. Be brave and be strong-and may our kids be safe. I loved this post. Thank you so much.